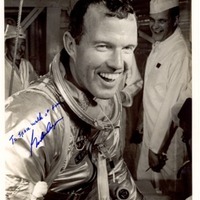 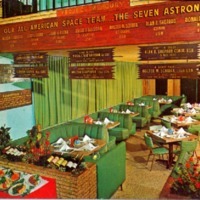 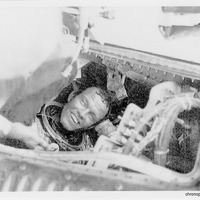 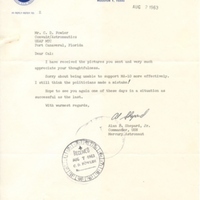 Tags: Al Shepard; Alan Bartlett Shepard, Jr.; Alan Shepard; Astronaut Group 1; astronauts; Cocoa Beach; Deke Slayton; Donald Kent Slayton; Gordo Cooper; Gordon Cooper; Gus Grissom; John Glenn; John Herschel Glenn, Jr.; Leroy Gordon "Cooper, Jr.; Malcolm Scott Carpenter; Mercury 7; Mercury Seven; Original 7; Original Seven; outer space; Ramon's; restaurants; Scott Carpenter; space exploration; Surveyor I; Virgil Ivan Grissom; Wally Schirra; Walter Marty Schirra, Jr. 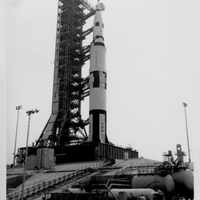 The Thor-Able rocket sits on the pad being prepared for launch. 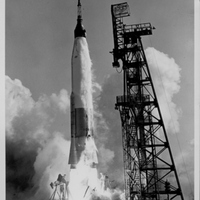 These missions were launched from Cape Canaveral Air Force Station Launch Complex 17 (LC-17). 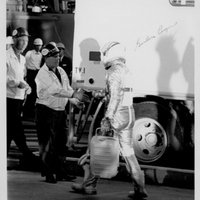 Dr. Calvin D. Fowler, the man who launched three of the Mercury-Atlas missions to orbit the Earth, trying on a Apollo-era space suit at the John F. Kennedy Space Center in Merritt Island, Florida. 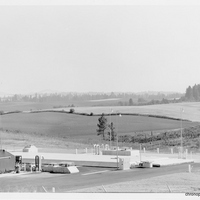 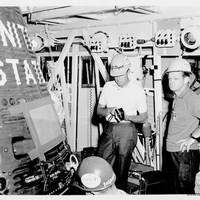 General Dynamics/Astronautics conducting a fuel loading test for the Atlas intercontinental ballistic missile (ICBM) at Fairchild Air Force Base, near Spokane, Washington. 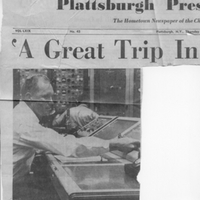 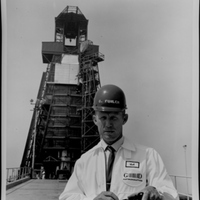 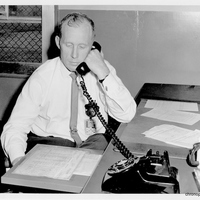 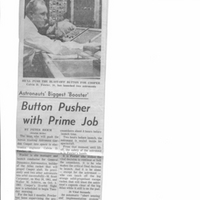 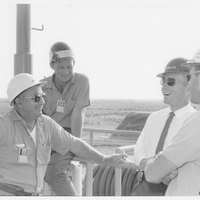 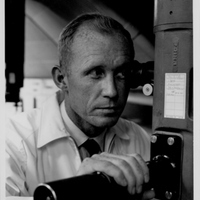 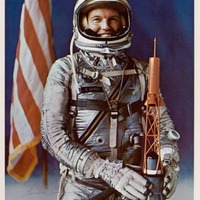 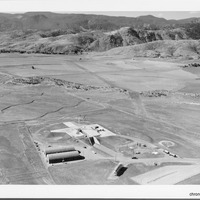 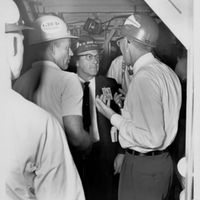 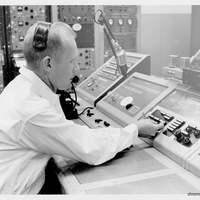 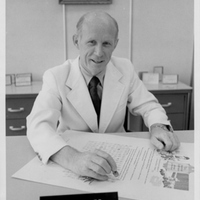 Before being manager of Cape Canaveral Air Force Station Launch Complex 14 and launching three astronauts into space, Dr. Calvin D. Fowler worked as a test conductor for Atlas missile tests at Cape Canaveral Air Force Station Launch Complex 11. 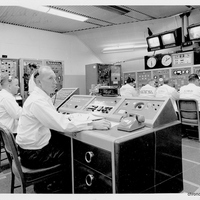 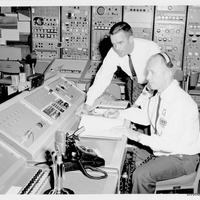 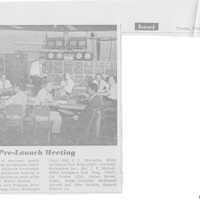 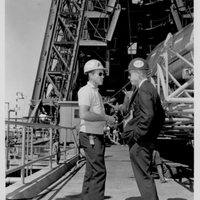 Dr. Calvin D. Fowler sitting at the Cape Canaveral Air Force Station Launch Complex 14's Launch Conductor's workstation, is depicted ghere with Wayne Reid, of the Aerospace Corporation, around the time of Wally Schirra's (1923-2007) Sigma 7 launch. 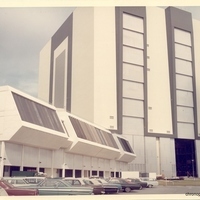 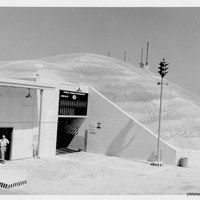 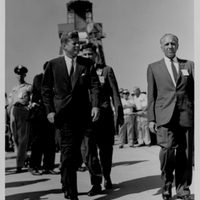 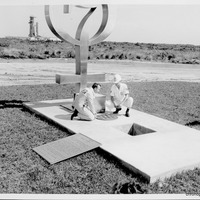 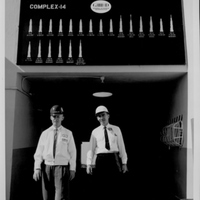 Dr. Calvin D. Fowler and an unidentified person exiting the Cape Canaveral Air Force Station Launch Complex 14 Blockhouse. 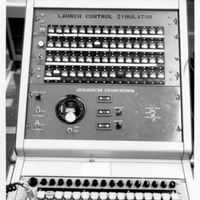 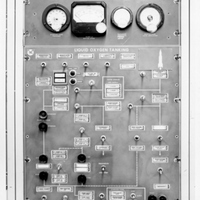 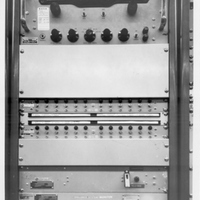 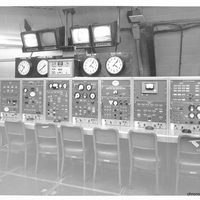 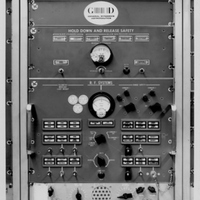 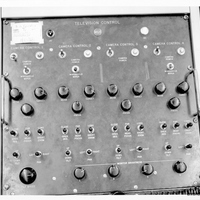 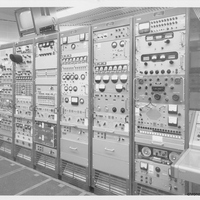 The tote board, which recorded the launches from Launch Complex 14 (Lc-14), can be seen above them. 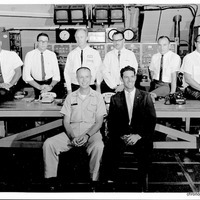 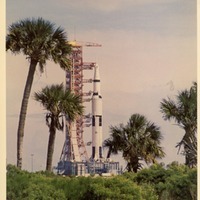 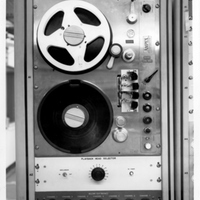 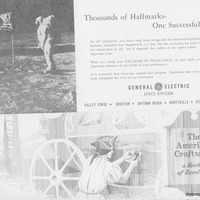 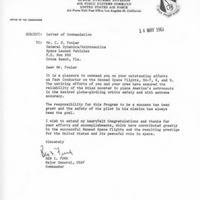 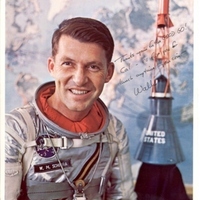 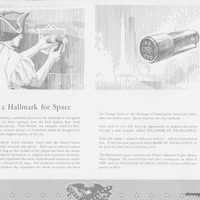 Tags: astronauts; B. G. MacNabb; Cape Canaveral; Cape Canaveral AFS; Cape Canaveral Air Force Station; CCAFS; GDA; General Dynamics/Astronautics; Hangar S; Mercury; moat; moats; NASA; National Aeronautics and Space Administration; outer space; Project Mercury; Sigma 7; space exploration; space programs; Wally Schirra; Walter Marty Schirra, Jr. 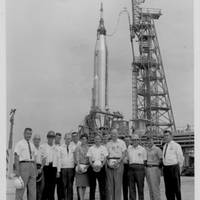 Tags: Astronaut Group 1; astronauts; Cal Fowler; Calvin D. Fowler; Cape Canaveral AFS; Cape Canaveral Air Force Station; Launch Complex 14; LC-14; MA-8; Mercury; Mercury 7; Mercury Seven; Mercury-Atlas; Mercury-Atlas 8; NASA; National Aeronautics and Space Administration; Original Seven; outer space; Project Mercury; Sigma 7; space exploration; space programs; Wally Schirra; Walter Marty Schirra, Jr. 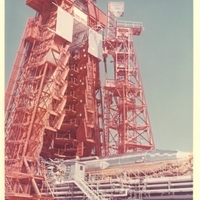 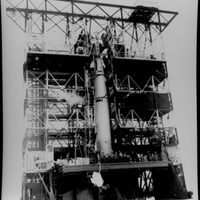 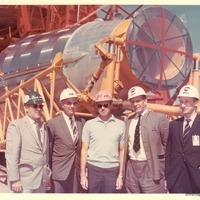 Tags: 6555th Aerospace Test Group; Aerospace Corporation; blockhouse; blockhouses; Burroughs Corporation; C. J. McCarthy; Cal Fowler; Calvin D. Fowler; GDA; GE; General Dynamics/Astronautics; General Electric Company; George Liner; J. R. Mullady; Jack Wiegand; John Savarie; Launch Complex 14; LC-14; Lee Solid; McDonnell Aircraft Corporation; Mercury; Mercury-Atlas; NASA; National Aeronautics and Space Administration; outer space; Porter Brown; Project Mercury; Ralph Gaendielle; Rocketdyne, Inc.; Sigma 7; space exploration; space programs; U.S. Air Force; Wally Schirra; Walter Marty Schirra, Jr. 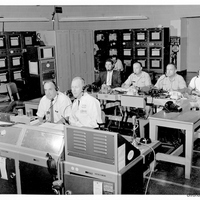 Tags: abort sensing and information system; ASIS; astronauts; Atlas; Atlas 130-D; Cal Fowler; Calvin D. Fowler; Cape Canaveral; Cape Canaveral AFS; Cape Canaveral Air Force Station; Cape Canaveral Air Force Station Launch Complex 14; Carpenter, Malcolm Scott; Carpenter, Scott; CCAFS; GDA; General Dynamics/Astronautics; Gordo Cooper; Gordon Cooper; launch; Launch Complex 14; launches; LC-14; Leroy Gordon Cooper, Jr.; Mercury; Mercury-Atlas; NASA; National Aeronautics and Space Administration; outer space; Peter Reich; Project Mercury; Reich, Peter; space exploration; space programs; spacecraft; Wally Schirra; Walter Marty Schirra, Jr. 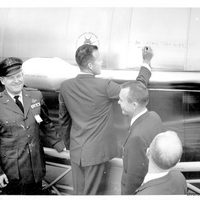 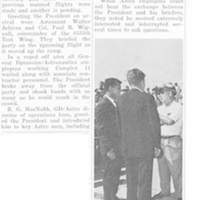 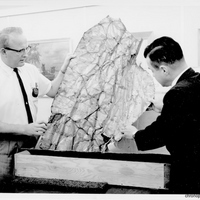 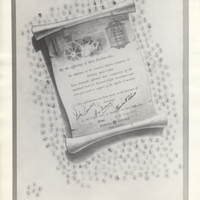 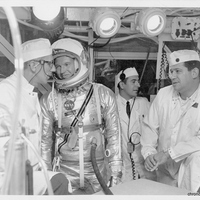 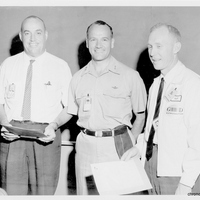 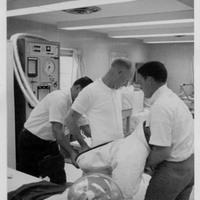 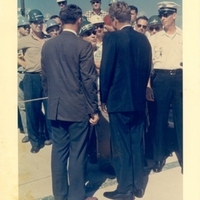 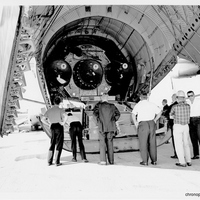 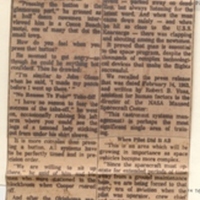 Tags: ; 6555th Aerospace Test Group; AMR; astronauts; B. G. MacNabb; Cal Fowler; Calvin D. Fowler; Cape Canaveral; Cape Canaveral AFS; Cape Canaveral Air Force Station; Cape Skid Skip; GDA; General Dynamics/Astronautics; Glenn, John Herschel, Jr.; Jack Kennedy; JFK; John F. Kennedy; John Fitzgerald Kennedy; Launch Complex 14; LC-14; Malcolm Scott Carpenter; Mercury; Mercury-Atlas; NASA; National Aeronautics and Space Administration; outer space; Paul R. Wignall; presidents; Scott Carpenter; Skid Strip; space exploration; space programs; T. J. O'Malley; Thomas Joseph O'Malley; Tom O’Malley; Wally Schirra; Walter Marty Schirra, Jr. 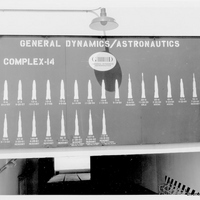 The Launch Tote Board at the Cape Canaveral Air Force Station Launch Complex 14 (LC-14) detailed the rocket launches carried out at the facility. 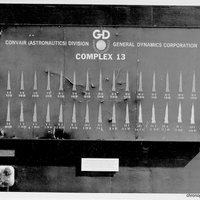 Posted outside of the blockhouse, it showed the vehicle type, designation and launch date. 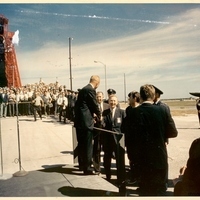 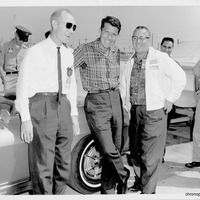 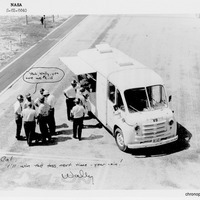 Tags: Astronaut Group 1; astronauts; Cal Fowler; Calvin D. Fowler; Cape Canaveral; Cape Canaveral Air Force Station Launch Complex 14; Gordo Cooper; launch complex; Launch Complex 14; launch complexes; LC-14; Leroy Gordon Cooper, Jr.; Lunch Wagon; Mercury; Mercury 7; Mercury Seven; NASA; National Aeronautics and Space Administration; Original Seven; outer space; Project Mercury; space exploration; space programs; Wally Schirra; Walter Marty Schirra, Jr.